When Jesus came to call His disciples he turned tradition on its head. Rabbis didn’t go to their ‘would-be’ disciples. Rabbis waited for the disciples to come to them. Jesus was a revolutionary! Those who actually became disciples of a Rabbi were deemed ‘good enough’. These were the cream of the crop. Those who had studied and excelled at memorizing scripture and also at discerning those scriptures. A disciple would eventually, if things progress as planned, replace the Rabbi. So the disciple would emulate all that the Rabbi did. They would walk as the Rabbi walked. The would speak as the Rabbi spoke. They would apply the same lens and perspective to the Torah that their Rabbi would apply. Being a disciple was not an easy task. Every waking moment was spent living in the shadow of the Rabbi that they followed. When Jesus came to call His disciples, He called those few individuals who had moved past their formal education in the temple and back to the vocations of their fathers. They weren’t the cream of the crop. They weren’t the best students, and they weren’t deemed worthy to be disciples by other Rabbis. Yet Jesus came to them. That alone should tell us something about Jesus. He came to get them. To call them. His mode of discipleship was vastly different from other teachers. He essentially picked working class people to become his proteges. He was telling them that though they hadn’t been good enough by the ‘professors and scholars’ of the law that they were good enough for the Son of God. Think of it. Jesus, God’s own Son, tells a group of rough edged fishermen that they were worthy to become like the Christ. How can this be? One who is perfect, who will eventually take upon Himself the sins of the world and die to save mankind says to a group of imperfect, dirty fishermen; “You can be like me“. It blows the mind. It’s not how it is done in Jesus’ world. Yet He does it His way. There’s a very real application for us today in this. Jesus still calls the ‘unworthy’, and He says to each of us, “You can be like me!” It doesn’t matter where we’ve come from. Or where we’ve been. It doesn’t matter if we even flunked out of school or lived with addictions. Jesus comes to us and tells us that we can be worthy to be like Him. Can you picture that? Jesus is essentially telling us that no matter how badly we’ve failed in life. No matter how difficult an upbringing we’ve face; no matter what junk we have in our lives that He believes in us. He believes that we can be like Him. Now perhaps some are thinking ‘there’s no way I could be perfect like Jesus.’ And you know what? You would be right. We can’t be perfect in our own power and strength. We can’t be ‘godlike’ in our own good deeds or our goody-two-shoes attitudes. We won’t ever be good enough to be perfect. Yet God in the form of His Holy Spirit wants and can transform us if we let Him. To be a disciple of Christ we have to decide that not only He is worthy of following but that we are worthy enough to follow Him. This is the real problem of discipleship. Many just don’t believe in themselves. Many have doubts that they are indeed good enough or worthy enough to be called a disciple of Christ. Here’s the solution to that problem: Jesus believes in you! He believes that you can do it! You are worthy of becoming His disciple because He says so. I’m sure those fishermen on the shores of Galilee had their doubts in themselves too. I’m sure they too felt unworthy. 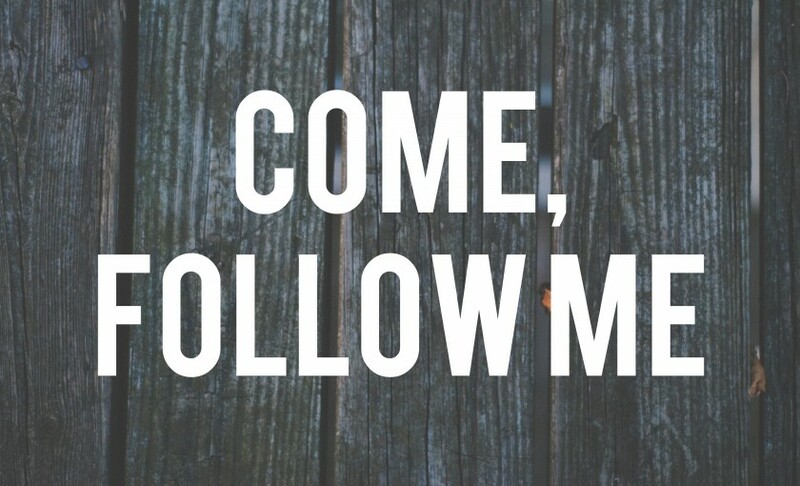 And yet Jesus called them and said, “Come follow me.” Today He still says that to us. The journey will not be easy. Much will be lost along the way, but so much will be gained in following Him. My prayer for all of us is that we begin to realize that Christ believes in us. And because of that we might begin to have confidence in not only Him but ourselves as well. Previous Post Previous post:High Council July, 29th Begins…One of these individuals will be our next General!